When most people start to plan their honeymoons, visions of exotic beaches or European cafes may fill their minds. However, leaving the country is not always an option. Perhaps you don’t have time to apply for a passport, your budget doesn’t allow for a major trip or maybe you just prefer to stay in the States. Whatever the reason, beautiful locations abound, each with its own unique allure. Let’s face it, weddings are expensive, and if you are the one footing the bill, you may have little left over for a honeymoon. Instead of deciding to skip the honeymoon or vow to take one later, consider planning a trip to one of these locations in the United States. A honeymoon doesn’t have to include tropical drinks or crystal-clear waters to be considered a dream — the whole purpose is to spend some time together as a couple to celebrate the start of your new relationship. Your dream honeymoon may just be a road trip away. 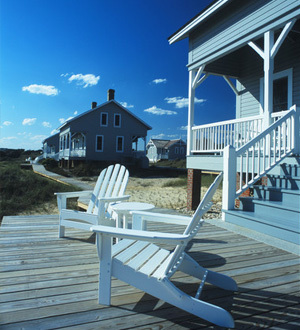 In Brunswick Islands, North Carolina, plan to rent a little cottage on the beach. In one location you’ll find several towns, islands and beaches giving you many options. If you feel like getting away from the crowds, head to Caswell Island, where the only commercial establishment is the golf club. Explore the nearly untouched dunes at Sunset Beach or shop and dine at one of the many waterfront restaurants in Southport. Brunswick Islands will transport you back to a time when life was simpler and the only thing you had to worry about was what you were going to eat for dinner. 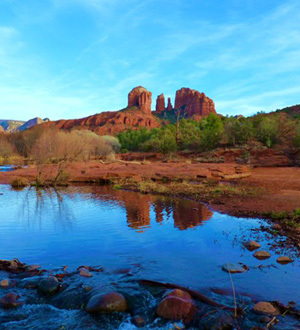 Sedona, Arizona, is an outdoor lover’s paradise. It boasts beautiful weather just about all year round, complete with cool nights even in the scorching Arizona summers. There are ample hiking trails, creeks to swim in and some of the most beautiful scenery in the country. After a long day of hiking, head back to a luxury resort for massages and champagne. 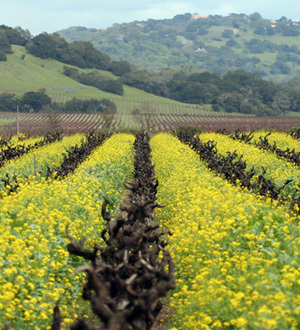 The city offers an array of delicious cuisine, and there are even several wineries close by. You may even feel more relaxed than normal, thanks to the many vortices in the area. 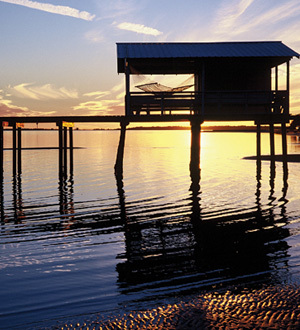 Biloxi, Mississippi, is nestled right along the Gulf Coast and is home to beautiful beaches and Southern charm. Stay at a bed-and-breakfast and dine on fresh seafood and local fare. Take a kayak on one of the many rivers and view an array of wildlife, many of which are threatened or endangered species. The sub-tropical climate ensures good weather nearly all year round. Eco-tours allow you to explore marshes, swamps or simply view alligators or dolphins. Visitors can also take a trip on a shrimp or fishing boat and help catch their own dinner! Sonoma County, California, may make you feel like you’re in Italy, thanks to the many vineyards and beautiful rolling hills. 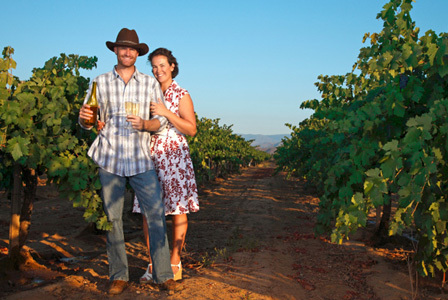 Besides simply drinking wine, you can take a romantic horse-drawn wine tour, blend your own wine or even make your own cheese. If you get your fill of wine (if that’s even possible), you can hike through the redwoods, take a hot-air balloon ride or go whale-watching. Just about everything in Sonoma revolves around wine but there is also golfing, a huge art community and various festivals throughout the year to keep you busy. 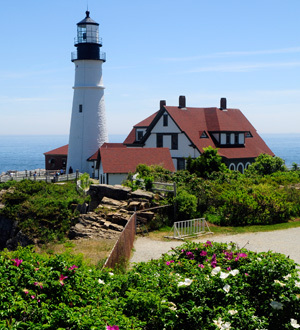 Portland, Maine, is rich in history and full of gorgeous scenery, from lighthouses on the coast to mountain views. It’s perfect for the couple who just wants to relax, enjoy each other and perhaps visit a local coffee shop or book store. Visit one of Portland’s many historic sites, museums or galleries during the day and dine on fresh seafood at night (Maine is known for its lobster, after all). Portland is home to several quaint bed-and-breakfasts that will make you feel at home while you enjoy your honeymoon.